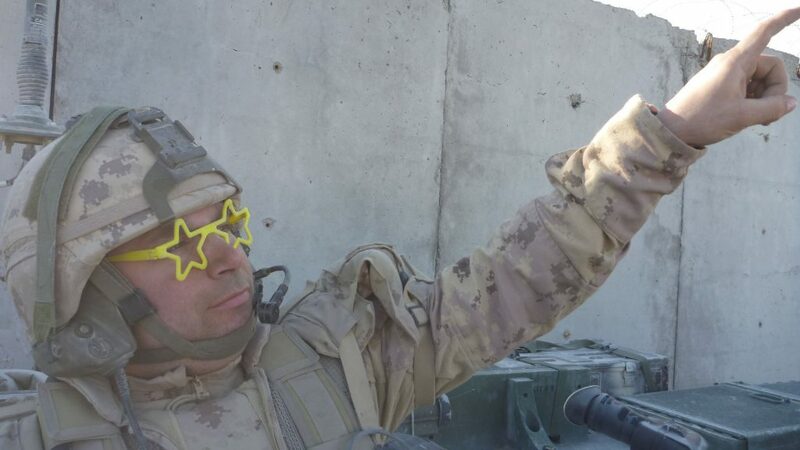 Anonymous Canadian soldier having a little fun on patrol in Afghanistan. No names, no pack drill! Westmount, Quebec – 11 April 2019: The RMR Museum is looking for veterans who would like to share their experiences and memories of their tour(s) in Afghanistan (2001-2014). This will help us produce our next exhibition on the War in Afghanistan that will be released in November 2019. Eventually, an accompanying educational module will also be produced by the Je Me Souviens educational program. The RMR Museum is also looking for photographs and artefacts related to Afghanistan service. If you are interested in participating or if you simply want to know more about this project, please contact Mélanie Presseau-Dumais by email:info@rmrmuseum.com.